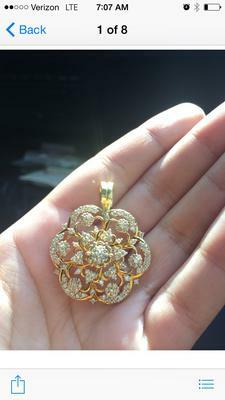 I have a diamond pendant that looks like a flower with over 148 diamonds. The top two layers spin separately and it has the number 200 engraved on the back. In light the diamonds appear to be a pink or blue hue and the diamonds are extremely clear in average light. Do you have any information on what the number 200 means or why the diamonds have that hue in light? Thank you.